Shortly after the power plant was completed, its opening was halted due to results of the groundbreaking referendum on the use of nuclear power. Today, the complex serves as an event and festival location, and hosts several public programmes. 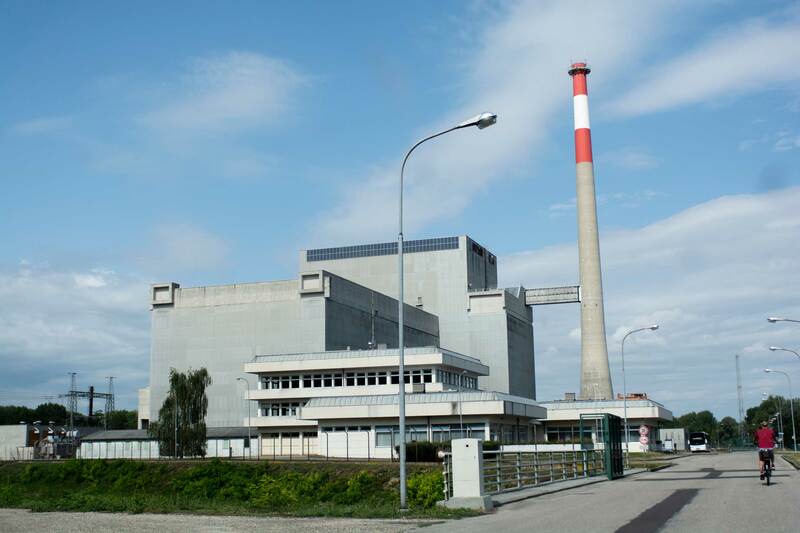 The nuclear power plant near the small village of Zwentendorf in Lower Austria is not just the only plant of its kind ever to have been built in Austria, and never used, it is also a highly symbolic place, both for contemporary politics and energy policies as well as for Austrian democracy in general. The perennial debate over the building of the AKW Zwentendorf really is a perfect illustration of people power. The decision to build the power plant was made in 1971, and construction got underway on 4 April 1972. Between 1973 and 1978 technical equipment, cooling pumps, heating elements and reactor containments with a total weight of more than 1,110 tonnes were delivered and installed. 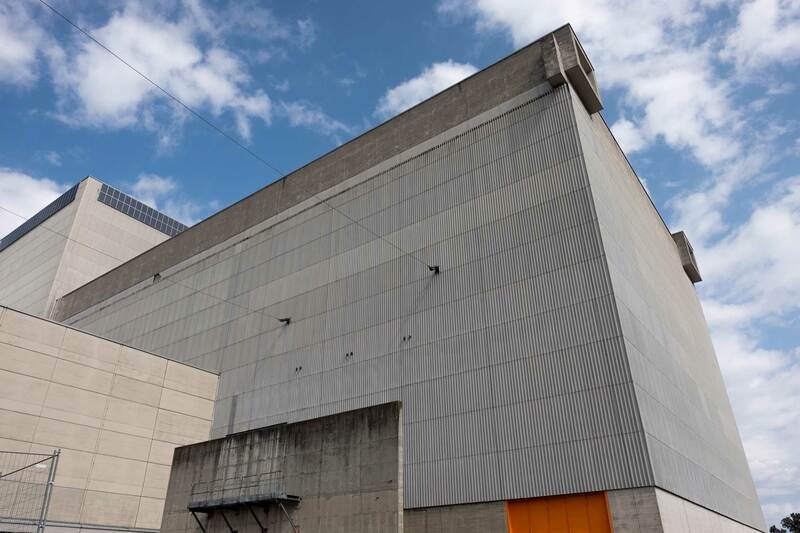 The 1,500 windowless rooms of the plant are enclosed by a 1.2 m thick reinforced concrete exterior wall: a solid casing for hazardous content. Altogether more than 14 bn Austrian Schillings, approximately 1 bn euros, were spent on the construction. Shortly after completion, the commissioning was halted because of a groundbreaking national referendum held on 5 November 1978. The campaign group ‘Österreichische Atomkraftwerksgegner (IÖAG)’ with up to half a million members had been established three years earlier, in 1975, giving rise to the anti-nuclear movement. Several campaigns and stubborn resistance such as a hunger strike in front of the Austrian parliament finally forced chancellor Bruno Kreisky to hold a referendum. With exactly 1,606,308 votes against the nuclear power plant, i.e. 50.47%, the result of the referendum could not have been closer. The rejection also led to the so called Atomsperrgesetz in December 1978, a law which forbids any future steps aimed at building nuclear power plants without first consulting the country’s citizens. Over the next seven years, until 1985, the owners, a group comprised of different energy companies, kept the plant with its 200 employees in a state of preservation, i.e. potentially in working condition. The nuclear disaster at Chernobyl in 1986 ended their hopes of ever again operating the plant. 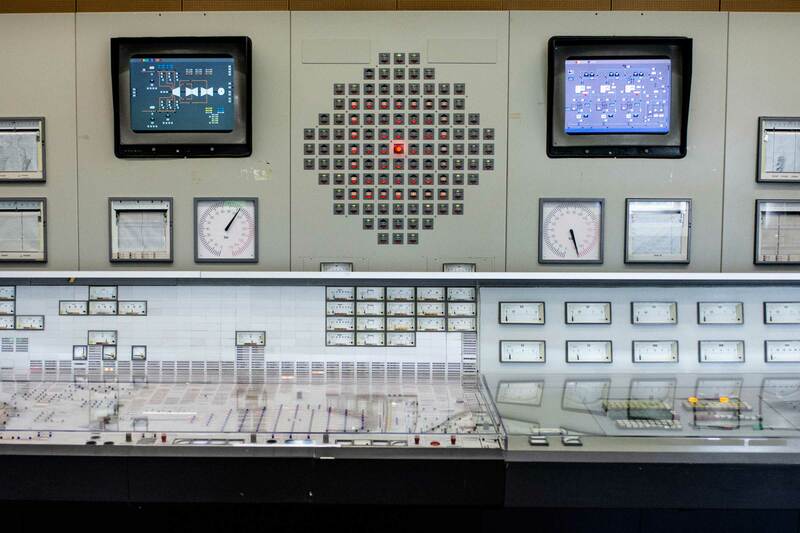 After this historical outcome the AKW Zwentendorf was finally shut down. Over the next few years different suggestions were made for its further use: the world-renowned artist and architect Friedensreich Hundertwasser thought about a museum for misleading technologies, and the businessman Robert Rogner wanted to transform it into an experience world. Forty years later the former nuclear power plant now operates as an event and festival location – and as a movie backdrop. Public interest remains strong. EVN, its new owner and operator, has more than ten thousand visitors a year for their guided tours. 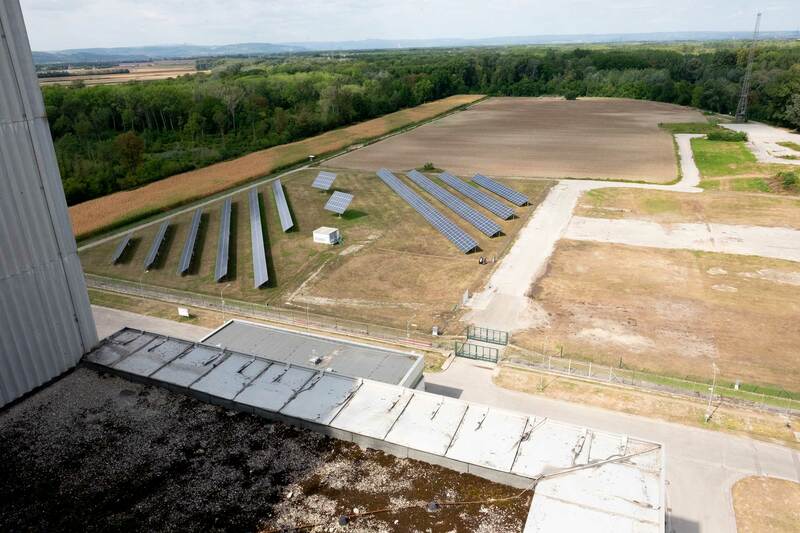 After the plant was bought by the EVN energy company in 2005, EVN not only began to provide guided tours, but it also installed a photovoltaic research centre in collaboration with the Technical University of Vienna (TU Wien). 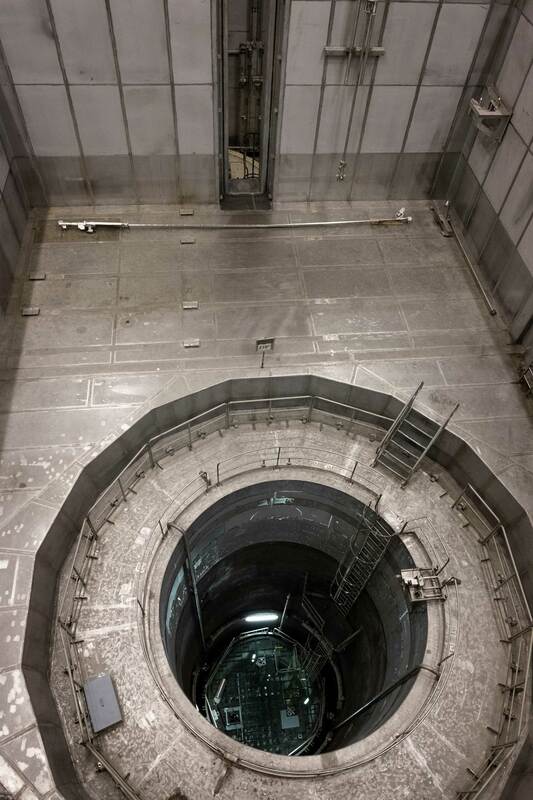 As a complete plant the AKW Zwentendorf is also used as a training centre for nuclear power employees from all over the world. Even the International Atomic Energy Agency (IAEA) uses it for annual workshops. And, last but not least, the plant has also served as a spare parts depot for identical nuclear power plants in Germany. 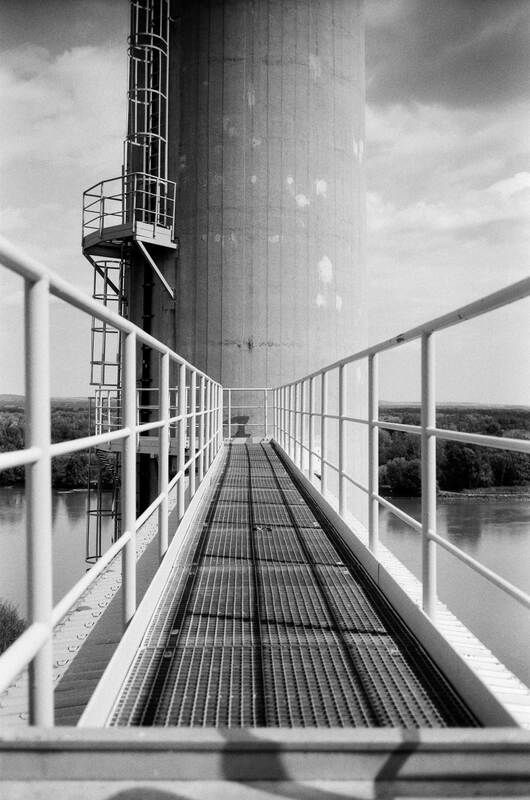 In 1998, on the 20th anniversary of the referendum, a colleague and I did a series of articles on the Zwentendorf nuclear power plant. It was incredibly interesting and very exciting. Of course we drove out to the nuclear power plant to take a look at it. The moment we set foot inside the building it was really spooky, and bizarre. In fact we were shown around by the man who, in 1978, had been appointed as director to run the power plant. He was still convinced the whole thing could go online at any time. And when we entered the plant, there was a humming noise, which took us a bit by surprise. It sounded like it was already up and running. And we were told it was. But it was being supplied with electricity from the outside, so all the parts… well, everything inside was brand new. Some of the instrument panels were still inside their packaging. It was all being preserved, either ready for commissioning, which seemed very unlikely at that point. But more likely to supply spare parts to nuclear power plants of a similar design in Germany; I think there are two or three of them. – For me it was also very exciting emotionally. I remember I was only eight years old in 1978. But I’d been all kitted out from head to foot with ‘Nuclear Power – No Thanks!’ paraphernalia and a T-shirt by my older siblings. And I can still remember the day very well. For my father it was a victory over ‘Red [Socialist] Vienna’. For us youngsters it was an important decision for our future. And when you consider 1986, and other incidents too, it was fortunately the right decision. I fell in love with this nuclear power plant more than twenty years ago. I fell under its spell the very first time I came here to visit. All the different rooms, all the technology packed inside, the infinite solitude of it all. There was only one person working here at the time. And it really was an abandoned place, actually a lost space. And I wanted to share this fascination, this enthusiasm for these premises with others. Back then the power plant still had eight different proprietors. Only around 11% of the power plant belonged to NEWAG, EVN’s predecessor company. Over the years we then acquired our partners’ stakes . Then, in 2005, 100%. Since then we’ve been able to implement and put on a lots of things here. – We had a number of plans for things we wanted to do with this location. The first thing we did was set up an international safety training centre. We feel that, at that time, Zwentendorf contributed in its own small way to nuclear reactor safety in Europe. The second thing we did was make Zwentendorf a place for renewable energy, which is why in 2009 we installed a photovoltaic installation here, on the façade, on the roof, and on the outer surface. We significantly expanded the installation in 2011 as a citizens’ participation model. Today, Zwentendorf uses sunlight to generate electricity, which in my view makes it a very fine symbol of a future shaped by renewables. – The other thing I was desperate to do was make this wonderful slice of contemporary Austrian history accessible to visitors. Getting there was no easy task as the plant was in a very sorry state when we took it over. Now the guided tours are always booked up months in advance. It’s a huge hit: people are enthralled, and the demand, the desire to take a look at it all, increases from year to year. – We’ve also marketed Zwentendorf as a movie location for film productions, and more and more as a venue. – So, yes, it’s certainly an unusual place. Seminars and workshops on the theme of ‘failure’ are also held here. Zwentendorf is certainly a place where there’s lots to talk about on that subject. For decades everything people came up with for this location ended up failing. And Zwentendorf was a place which, like no other, attracted weird and wonderful people and projects for many years. In 1977 I was studying pharmacy in Graz. And even back then there was already an eco-movement in Graz. We handed out leaflets at the university canteen. So people knew a nuclear power plant was being built in Zwentendorf. There were even plans for a second one, in St. Partenion, which is in [the province of] Carinthia. – The profitability of it all was being called into question. Ok, so you produce energy, but then what about the fuel rods? 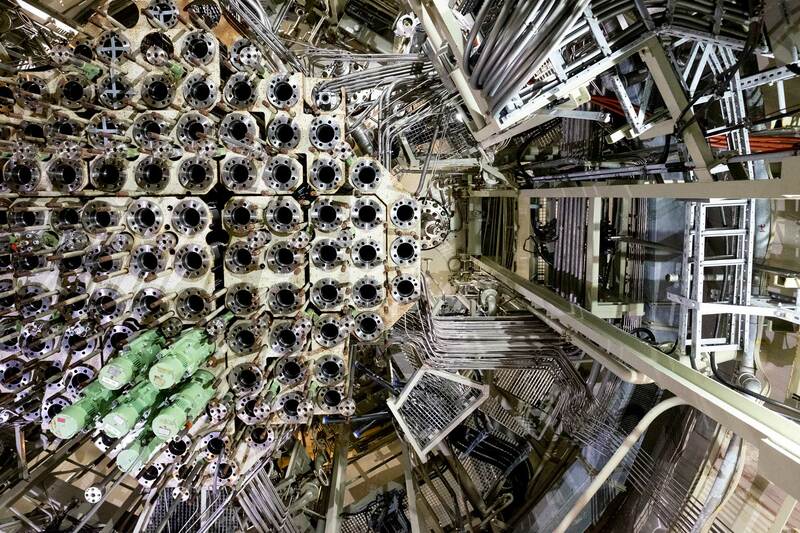 What do you do with the fuel rods, and where would they be stored? So when you added up the total costs, there was no way for us that it was going to pay off. So, for us, it wasn’t at all clear why Austria of all countries had to have a nuclear power plant at any cost. – So we were against it. Then there was a demo, at the Ballhausplatz. Activists converged on Vienna from all over Austria. I remember it well: we all travelled up in a brightly coloured VW bus; I had much longer hair at the time and looked a bit sheepish – and then there we were, on Ballhausplatz. Ballhausplatz is where the federal chancellor and the federal president have their seat. And the activists set up camp there, on Heldenplatz, that is. There must have been, what, ten thousand people, I don’t really know any more. And of course there was chanting. The Left also got involved. It was in the papers afterwards that the whole thing had been infiltrated. – We really enjoyed it. And of course it was also a bit of an event. People got together, chatted, and then somehow we travelled back to Graz and we thought, yep, we’ve pulled it off this time. But that’s not how things turned out. Instead, the federal chancellor Bruno Kreisky refused to take any notice of the demo and kept hoping he would get the momentum he needed from industry. In other words, that the plant really would open and go online. – So he really coupled his politics with this Yes/No to Zwentendorf decision and hoped that those who agreed with his politics would also vote in favour of the nuclear power plant. But he underestimated the whole thing and, in the end, the referendum went the other way, in other words, marginally in favour of a ‘No’ to Zwentendorf. And that was it.